At JTT Autotech, we have the lastest 3D Four wheel alignment equipment. 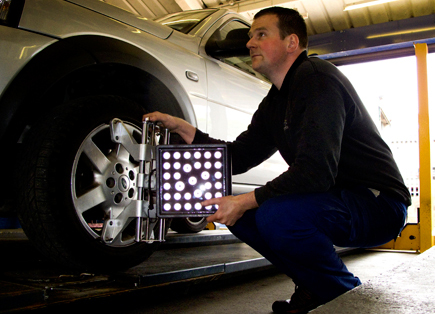 This allow us to carry out a comprehensive check on your vehicles geometry instead of just the basic tracking that many tyre fitting bays offer. All Four wheel alignment £65 plus VAT. We provide graphical reports showing you the alignment of your tyres on your vehicle before and after any work is carried out. Book an appointment online or give us a call and talk to one of our staff.